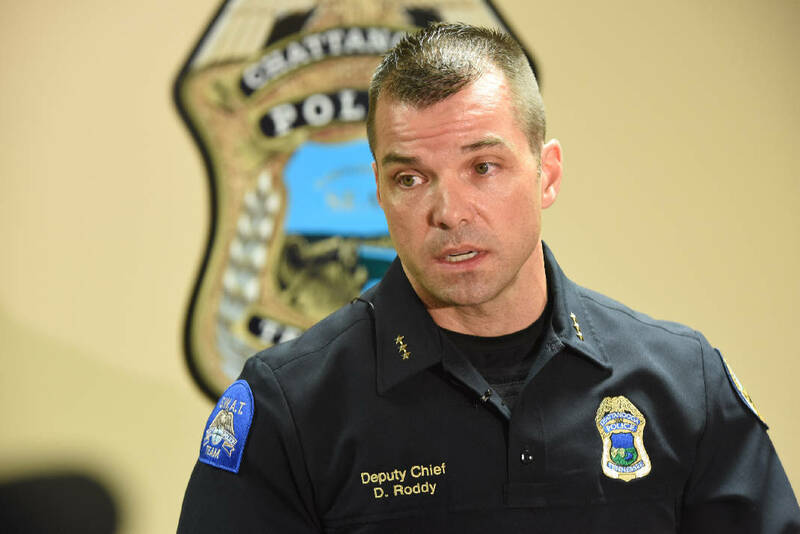 Chattanooga police are taking steps to make some crime and policing data publicly available as part of a nationwide initiative launched by President Barack Obama. Police are considering posting information online about officer-involved shootings, assaults on officers, use-of-force incidents and complaints so that anyone can access it without filing open records requests. The department is one of 53 jurisdictions across the country that have committed to Obama's Police Data Initiative, which aims to increase transparency, trust and accountability through the release of data. The initiative was created in 2015 after a report by the president's Task Force on 21st Century Policing. Police already provide some data through the Chattanooga Public Library's website. Now, anyone can use the site's open data portal to examine information on police incident reports dating back to 2005, traffic citation information and 911 calls for service. "This is not our data," police Chief of Staff David Roddy said. "This is the community's data. It's the community's actions, victimization, response — we just happen to be the ones responsible for writing that information down. So we need to make that as available and transparent as we can." He said police have not yet decided which new datasets to release or what format the data will be in, but that police are looking at officer-involved shootings, assaults on officers, use of force and complaints against officers. In Indianapolis, another city that is part of the national initiative, the police department now automatically publishes information on use-of-force reports, officer-involved shootings and complaints, then creates visualizations of that data, said Tiffany Andrews, status manager at Code for America, a nonprofit organization that helped develop the system. The Indianapolis system keeps the names of the officers anonymous but provides the date, location and summary of each incident, as well as the races of the officers and citizens involved. The system also shows how the cases played out in internal affairs investigations. "It's never just about opening data," Andrews said. "It's about providing the community with information that they need to fix systemic problems. Opening data was the first step. And now we're looking at new ways to engage the community." Roddy said police don't have a timeline for when the data will be released. He hopes putting the data out will cut down on the money and time the department spends fulfilling open records requests while increasing the police department's legitimacy in the eyes of citizens. "We want to explain how the police department does things," he said. "What are our processes, how do we go about achieving our results. That's part of legitimacy. You couple legitimacy and transparency and the goal is to build trust." The new data should enhance information that's already available through the library and through ChattaData, Mayor Andy Berke's goal-tracking website that was launched in 2014. That's the same year Berke issued an executive order requiring departments to make open data a priority. Tim Moreland, director of performance management and open data for the city, said that many of the city's departments are working to release data, not just the police department. "It's a continuation of what we see as our commitment to providing open and transparent government through our open data program," Moreland said.